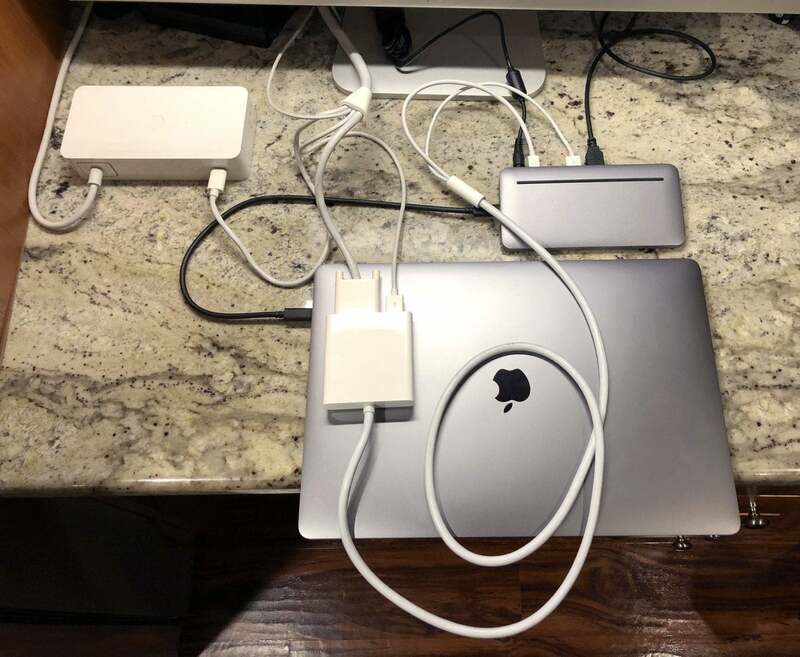 One problem that Mac 911 can always count on: The complexities of using old Apple monitors to work with new USB-C-equipped Macs. The 2015 and later MacBook uses USB-C for USB 3 and DisplayPort. The newer MacBook Pro and iMac models pass Thunderbolt 3 over USB-C, along with DisplayPort and other standards. 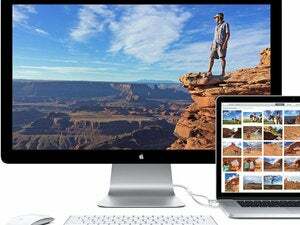 I recently updated our best advice and knowledge for Apple’s Mini DisplayPort and Thunderbolt 2 displays. 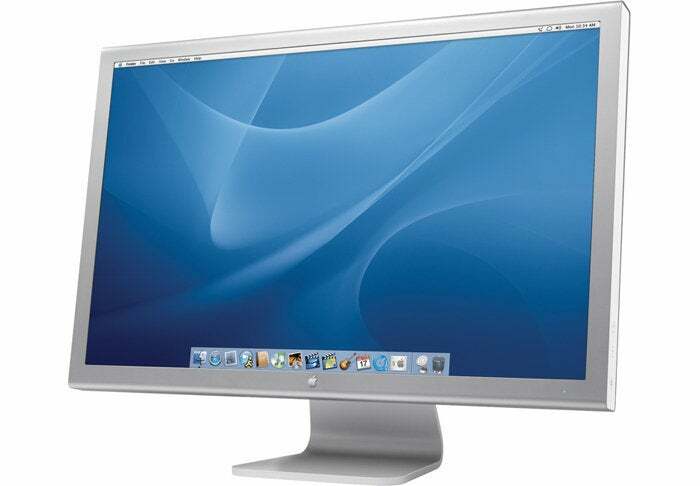 For older Apple monitors that relied on DVI—sometimes requiring a dual-link DVI setup for its largest displays—I had yet to find a solution in a single product, with adapters, or from readers who had solved it. That’s changed! Macworld reader Michael linked together an adapter and a dock for his 30-inch dual-link DVI Cinema Display. And it works! He relied on Apple’s existing dual-link DVI adapter that connected monitors with those video outputs, to a Mini DisplayPort connector for earlier Macs, which is compatible with Macs that rely on DisplayPort video over Mini DisplayPort-only Macs as well as those that pass DisplayPort video over Thunderbolt and Thunderbolt 2. The adapter and dock and power supply arrangement. Apple no longer sells this adapter, which retailed for $100, or its much cheaper standard DVI to Mini DisplayPort adapter. However, you can find it in new and used condition on Amazon, and some other companies still make similar adapters, including Monoprice, which offers one for $60. I knew this existed, but in some tests colleagues conducted in 2017 and in reports from readers over the last two years, it seemed like there wasn’t compatibility via this adapter to any of the existing USB-C docks that offered Mini DisplayPort as an output device. 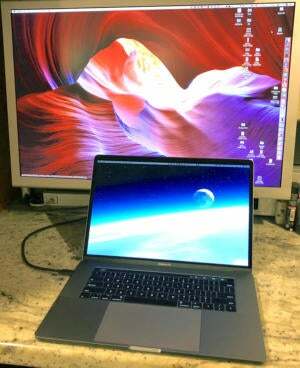 A 30-inch Cinema Display in use with a MacBook Pro with Thunderbolt 3. Michael tried the Henge Stone Dock ($190), and it’s been working for him. This AC-powered dock, which I haven’t reviewed, includes a nice array of ports that includes Mini DisplayPort but not HDMI, so it’s a great backwards-compatible one. This could wind up costing nearly $300. 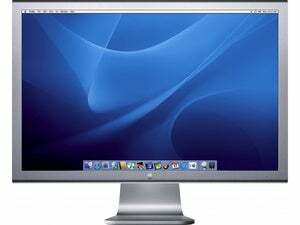 But given that the 30-inch Apple Cinema Display ran $3,000 retail at its introduction, it may feel like a small price to pay to keep a working monitor in use. Your mileage may always vary, so make sure you purchase adapters from stores that allow easy returns if your arrangement doesn’t work.